Our name signifies the three pillars of our philosophy: Raw (minimally processed), Earth (sustainable), Organic (non-toxic & not harmful to the environment). 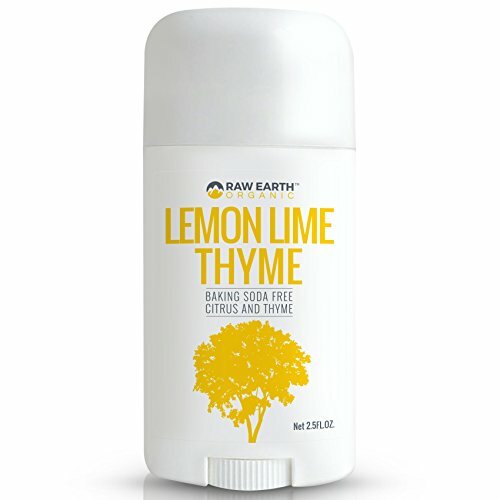 We believe that by taking care of our planet, we take care of ourselves - and by doing so, we create an outstanding deodorant. We do not use aluminum or sythentic compounds. 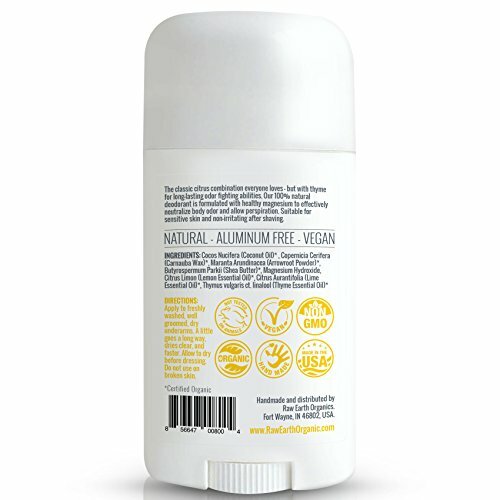 Our deodorants contain only organic and natural ingredients. And when we say minimally processed, we mean you can even eat them. All Day Protection: Our natural ingredients work together to kill odor-causing bacteria and keep you smelling fresh. 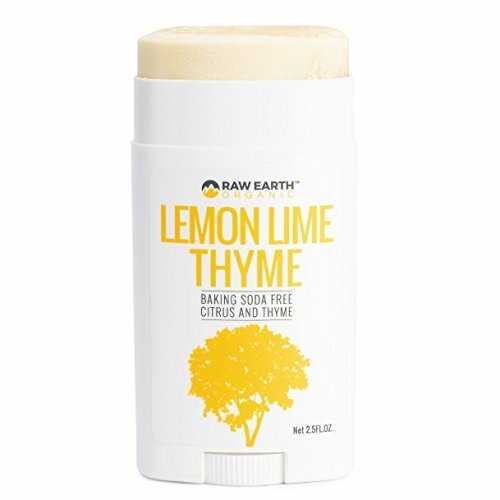 Lemon is rich in vitamins and minerals like pectin, vitamin C, and magnesium - and has been used for centuries for its antibacterial properties. 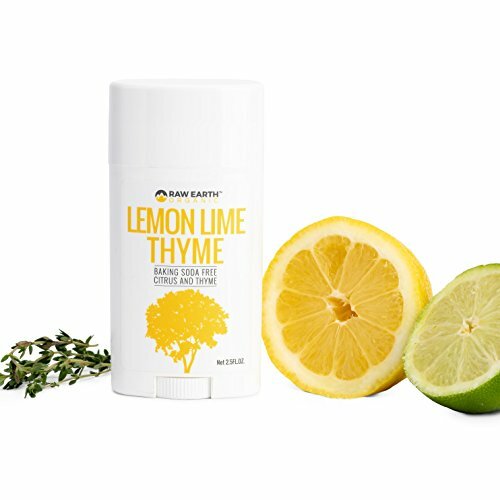 Lime and thyme balance the scent profile and ph levels. 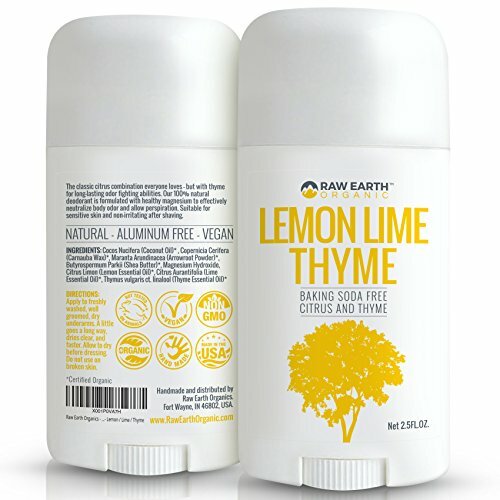 100% Natural: Our deodorant is made with 5 vegan, edible ingredients. Unlike regular antiperspirants, our deodorant does not contain any toxins. It's organic, gluten-free, aluminum-free, soy-free, sulfate-free, paraben-free, phthalate-free, GMO-free, and BPA-free. Sustainable: We believe in giving back - We embody this ideal by sourcing sustainable ingredients and supporting social responsibility initiatives. Our container is 100% recyclable and the paper is fully biodegradable. 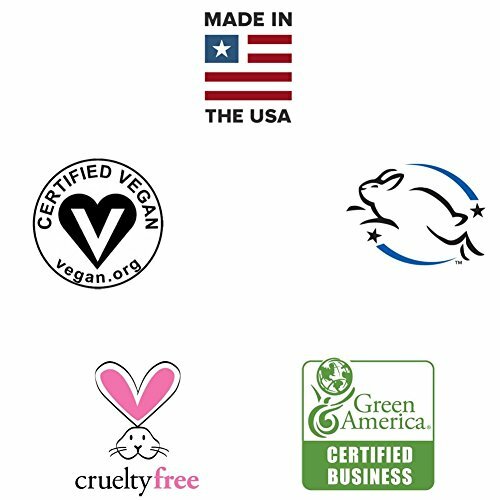 Our manufacturing facility is certified as a B corporation. This means they have met rigorous standards of social and environmental performance, transparency, and accountability. Unprocessed: Our deodorant relies on your body's natural heat to glide on smoothly. We use magnesium hydroxide instead of baking soda (which can irritate the skin). Our products are naturally scented with high grade, organic essential oils. If you have any questions about this product by Raw Earth Organic, contact us by completing and submitting the form below. If you are looking for a specif part number, please include it with your message.